Guilderland is a town in Albany County, New York. It borders the towns of Berne, Colonie and New Scotland and the city of Albany. 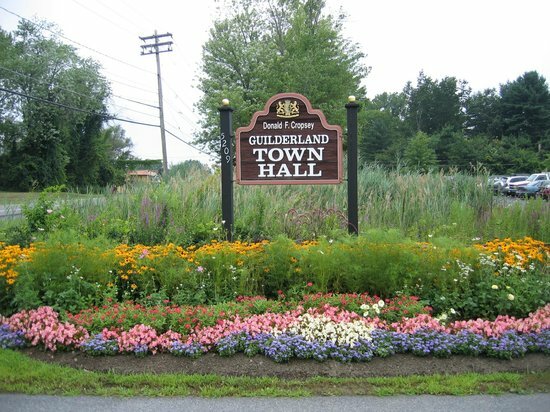 Guilderland provides a community environment offering quiet and secure residential living in both suburban and rural settings. There are several communities located within Guilderland, including Altamont, Guilderland Center and McCormacks Corner. The median home price in Guilderland is $320,000. Guilderland is served by the Guilderland Central School District. It has one high school, Guilderland High School, one middle school and five elementary schools. It is consistently placed as one of the top 5 best school districts in the area, and a top district in New York state. There are numerous parks, recreational facilities and seasonal programs throughout the town. The Parks and Recreation Department offers numerous programs to residents, including swim lessons, hiking trails, cross-country skiing, snowshoeing and GPAC concerts throughout the summer. The Town co-sponsors special community events, such as the Pine Bush Triathlon and cross-country races at Tawasentha Park. 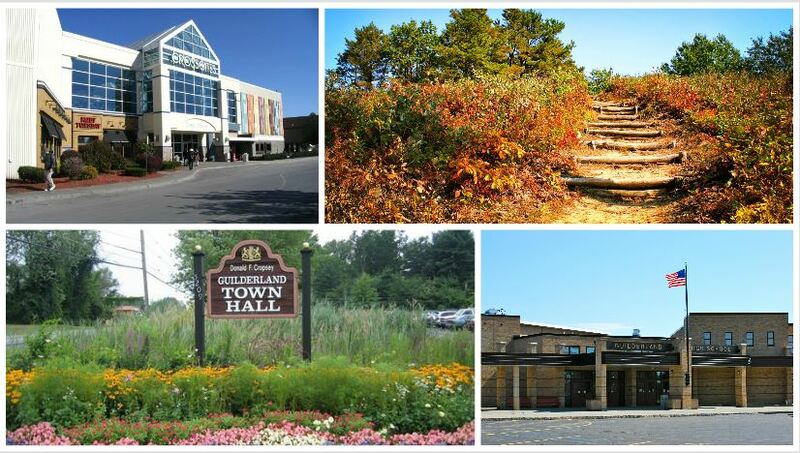 Guilderland is home to Crossgates Mall, the Capital Region’s premier shopping, dining, and entertainment destination. The Albany Pine Bush is a globally rare ecosystem located in the heart of the Capital District. It’s 3,200 acre nature preserve with more than 18 miles of trails. It was chosen as a National Natural Landmark for its extraordinary sand dunes. The Preserve is also a New York State Unique Area, Bird Conservation Area and a National Audubon Society Important Bird Area. As the gateway to the Pine Bush, the Discovery Center introduces you to everything that makes the Preserve rare, significant & distinct. A one-of-a-kind interpretive center with interactive exhibits and a fully accessible outdoor Discovery Trail featuring local artwork, green technology and demonstration gardens. Indoor and outdoor classrooms where learning comes alive for schools and special interest groups.